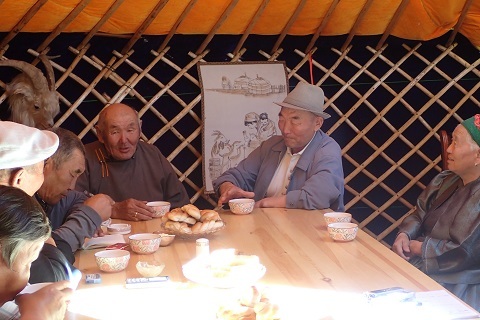 This project aims to identify both the synchronic diversity and diachronic changes among Mongolic languages, which are widely spoken in inner Eurasia. We can find two factors of diversity among the languages: One is internal change, such as autonomous sound changes; the other is external influence, such as borrowing vocabulary or grammatical features from neighboring languages. To explore these factors, we focus on accomplishing the following two research activities: 1. Conducting a typological study of Mongolic languages (i.e., their microvariation) and neighboring languages, especially focusing on nominal and verbal morphology, phonology, syntactic features, borrowing, etc. ; 2. Creating a database that integrates primary sources of Mongolic languages.